Cane Creek Forty, Threadless Integrated, Sealed Bearings, Tapered 1-1/8" to 1-1/2"
To run the forums, host the website, and travel, I charge a universal service fee for my reviews. This in-depth review was sponsored by Optibike. My goal is to be transparent and unbiased, this video and written review are not meant to be an endorsement of Optibike products. Optibike is one of the oldest electric bike companies in the United States. The founder, Jim Turner, was a motocross champion in his early years and has a degree from Stanford University. He helped design electronic suspension at Ford Motor Company after his racing years, contributed to designs at Fox, and has grown the company to include his two Sons over the past decade. Their first product shipped in 2007 and included mostly American-made parts. Over time, Jim has incorporated more internationally sourced hardware (battery cells, display units, motor systems), but it all comes together in a very hands-on way, emphasizing performance. His team customizes motor controller software, for example, so the response and handling feel right. They have been working on the new R-series since 2014 and consider it a platform. For those who feel that the $14k price point is too high or the ~35mph top speed is inappropriate for their select application, Optibike plans to configure and sell specced down versions to comply with Class 1, 2, and 3 guidelines. 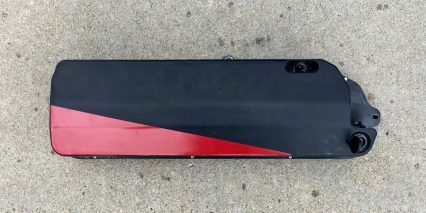 However, even the most affordable product in this series will be built around the all-carbon frame, swing arm, and battery box. This review was more like an interview and went long. I have been working with Jim since 2013 and grown to trust his customer support and company stability. 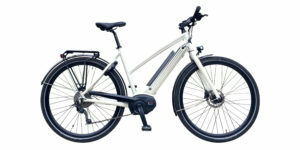 I definitely pointed out considerations, like the lack of bottle cage bosses, limited display readouts, absence of USB charging ports (which would have been nice to have with such a high capacity battery pack) but there’s really nothing like this ebike on the market right now. There are other high powered near-motorcycle electric bikes, but nothing so carefully engineered by a pro rider. The R15C is meant for off-road use, and much of the footage overlaid in the video review was shot on a private ranch in Colorado, where unlicensed vehicle operation is permitted. In its current configuration, this bike has no pedal assist drive mode… just a variable speed twist throttle that offers increasing power and speed potential through five levels. It can reach 28mph with throttle only, but rider pedaling unlocks 35mph top speeds. For now, the bike only comes in one frame size. the seat tube is angled back so extending saddle height also extends reach. Jim talked about fit, and emphasized the low standover height for petite riders. 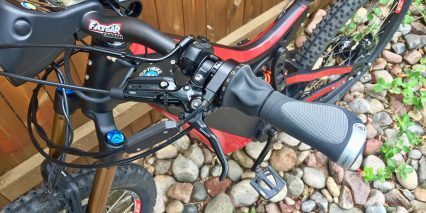 I felt very comfortable on the bike and enjoyed the long-travel Fox suspension, ergonomic locking grips, and 125mm Fox dropper post. Apparently, when you order one of these products, the team interviews you to understand ride style and needs so they can custom spec all of the accessories! There’s a high level of service on offer that matches the high-end build. It really sounds like they scrutinized handling and weight distribution when building this frame. 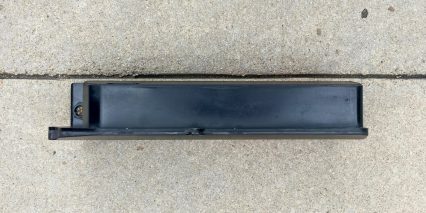 They used carbon fiber because it allows for variable wall thickness and unique shapes, that can handle the pressure of a 190 newton meter motor. Apparently, older frame designs were bending under the power of the latest drive systems, and that could lead to wobble. 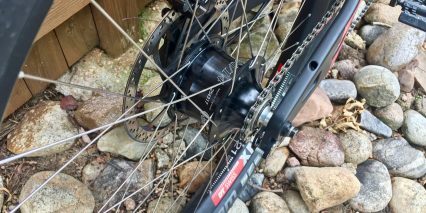 The R15C is using thru-axles on both hubs, wider Boost hub spacing to strengthen 27.5″ rims with 2.6″ plus sized tires. 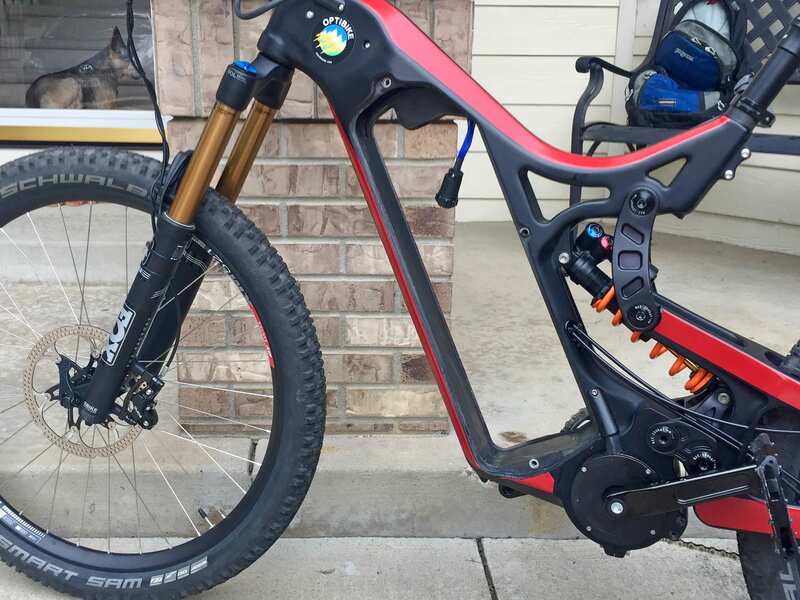 Ebike specific Fox suspension fork with thicker stanchions, high-speed rated Schwalbe tires with dual layer puncture protection, and a rigid swing arm bring this into motorcycle territory. I asked Jim, why not just build electric motorcycles? 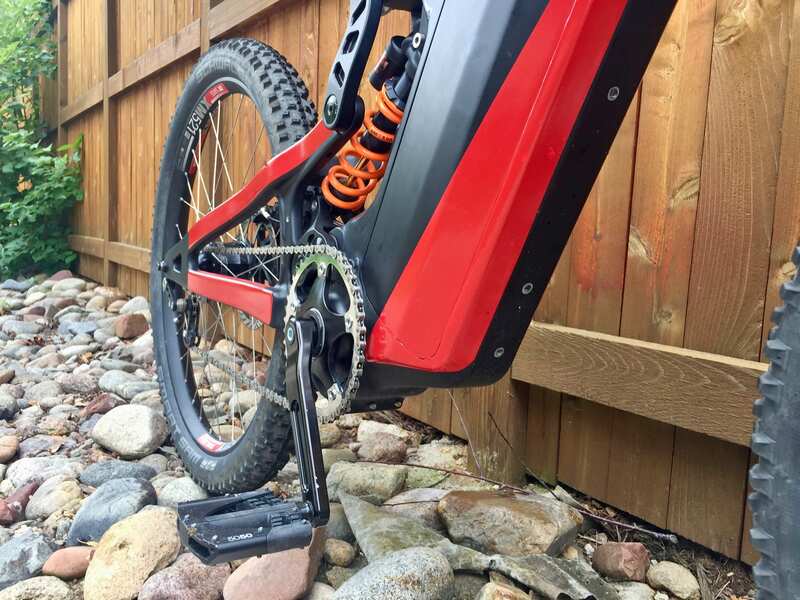 The goal here is to create a platform that could be pedaled to OHV trails that is lightweight enough to reduce injury and make transport easier, and have a platform that can be reconfigured for ebike use. The R15C does have cranks and pedals, but again, it really is setup as a motorcycle right now, and that’s what the warning and Class 4 callout are all about. Before we jump in further, I want to compliment the kickstand option, unique integrated dual-beam headlight system, and faster 8 amp charger that comes standard. 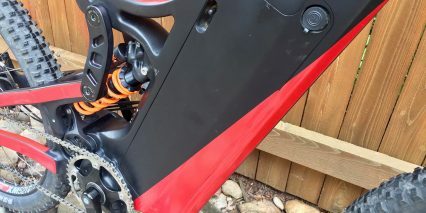 This review taught me more about suspension, and I gained an appreciation for the consistency of spring vs. air (which is what was chosen for the rear shock). Air is highly adjustable, but the performance can change as it heats up from prolonged use and the additional weight of the frame and unsprung rear wheel weight (with a 14-speed Rohloff Speedhub) add work. Even riding in a grassy field, up and down curbs, I gained an appreciation for the low weight distribution and suspension performance. When we lifted the frame to weigh it, using a passthrough handle at the center, it balanced perfectly… and Jim explained that this handhold was indeed meant for lifting support and they scrutinized frame layout to make it balance that way. Well done. Driving this bike is a custom motorized bottom bracket, mid-drive motor, rated at 190 newton meters. This is significantly more powerful than mainstream ebike motors, which tend to go 50nm to 90nm. It provides excellent starting and climbing power, I was able to take off in higher gears vs. shifting down with every stop. One downside however, is that you cannot easily shift under power, the Rohloff Speedhub won’t allow itself to be forced into different gears if there is too much force being applied to the drivetrain. 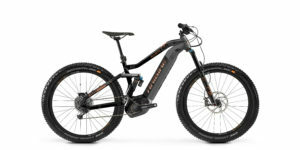 Power output is rated 1,650 watts to 2,500 watts peak, which is way above the federal ebike limit of 750 watts. I realize I’m repeating myself a bit here, but just trying to explain the boundaries of use for this product and how it is unique in the overall space. The size is fairly compact and Jim told me that it only weighs in the range of 9.5lbs, which is only slightly heavier than the Bosch Performance Line motors (which weigh 8.8lbs). One very noticeable difference with performance here, is the whirring noice that is produced at higher speeds and pedal RPM. You can hear this in the video above quite clearly during the pass overlays (where the rider goes past the camera). 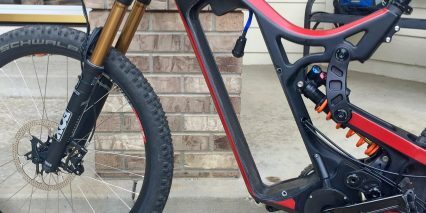 One the one hand, it’s louder than many competing ebikes like the Stealth Bomber, which use a gearless hub motor… but the mid-drive configuration is much more efficient because it can leverage the drivetrain gears for climbing and high speeds alike, it also reduces unsprung weight, and keeps weight low on the frame. Finally, it is significantly quieter than most internal combustion engines… and it doesn’t heat up as much or produce smells and mess the way that some of them can. 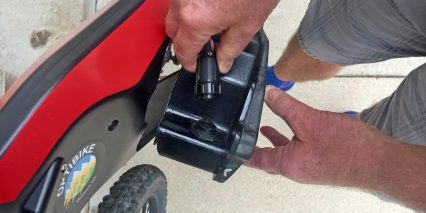 Because of its compact size, the motor does not protrude down or forward, lowering ground clearance. 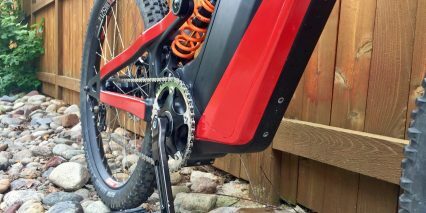 It interfaces with a 42 tooth sturdy steel chainring, which could be swapped out for different sizes if you want, and custom machined 165mm crank arms. 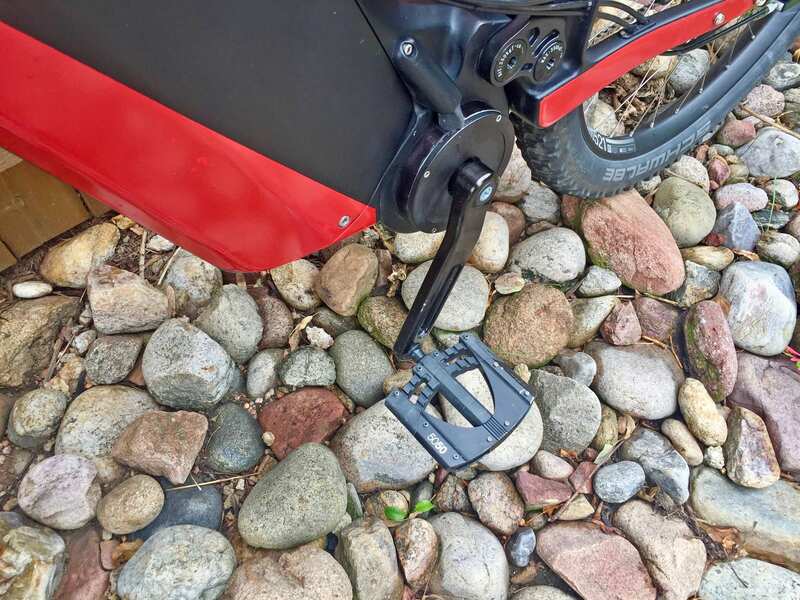 I asked about the crank arm length because most other ebikes I review have 170mm arms, and was told that the shorter arms help to reduce pedal strikes. It’s another part that could be swapped out… and I really love that about the R15C, it uses many standard bike parts vs. completely proprietary solutions. 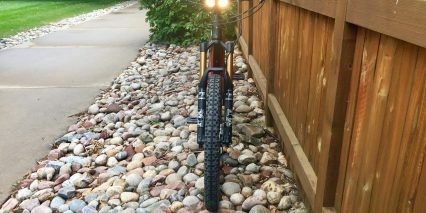 It might be nice to get a triple clamp suspension fork with 40mm stanchions or run a 27.5″ wheel in the front and smaller 26″ in the back… and you can do all of that. Drivetrain, stem, handlebar, cranks, pedals, seat post, tires and wheels are all standardized and that makes them replaceable and more easily serviceable. Apparently, Rohloff hubs only require occasional oil changes that can be pretty easy to perform with their special oil change kit. 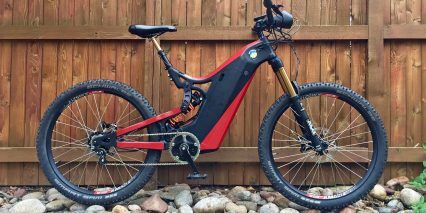 Powering this electric bike is a custom designed, built in the USA, carbon fiber encased battery pack. 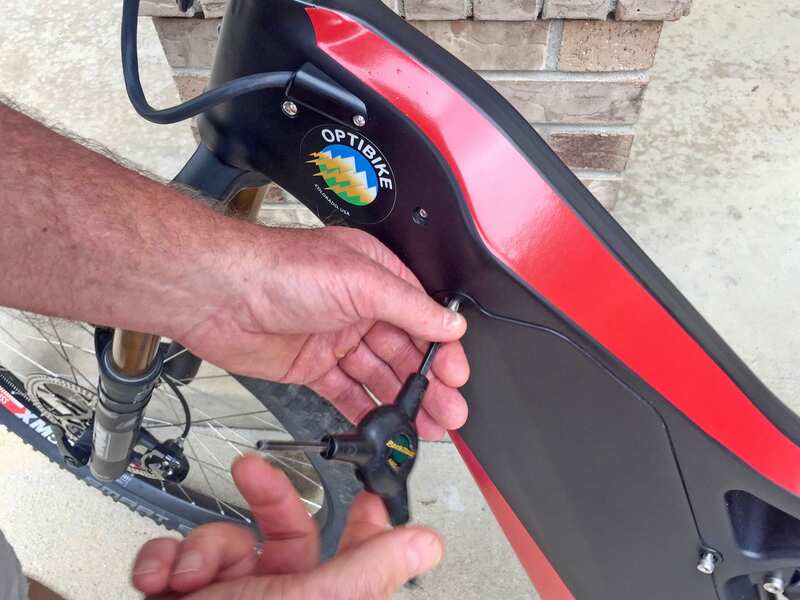 While the average capacity for an ebike battery in 2017 was 350 watt hours, that capacity grew to ~500wh in 2018 with some models offering 650wh… the Optibike R15C comes with a 1.5+ kilowatt hour battery! That’s 1,534 watt hours total, using premium LG cells. The chemistry is lithium-ion, known for being reliable, lightweight, and long lasting. To really optimize lifespan, it’s best to store in a cool, dry location. 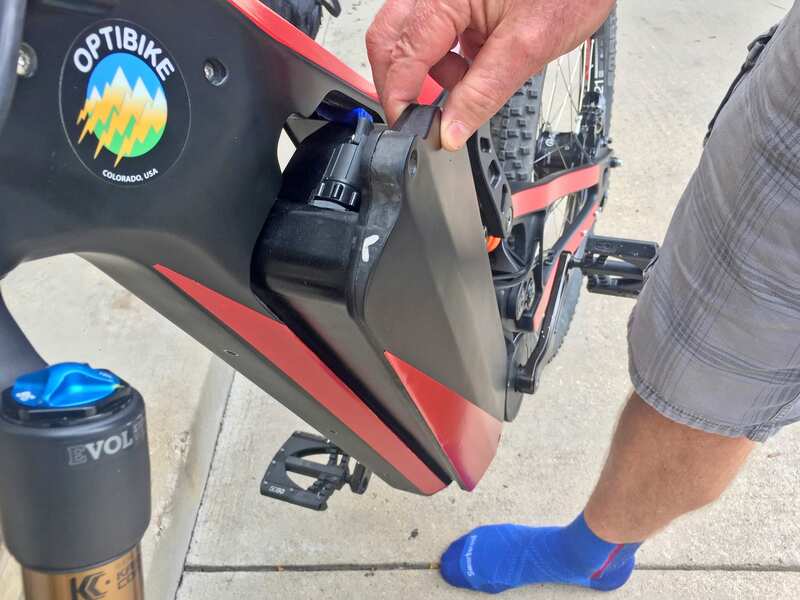 The pack can be charged on or off the bike frame, and the included 8 amp charger keeps downtime to a minimum. 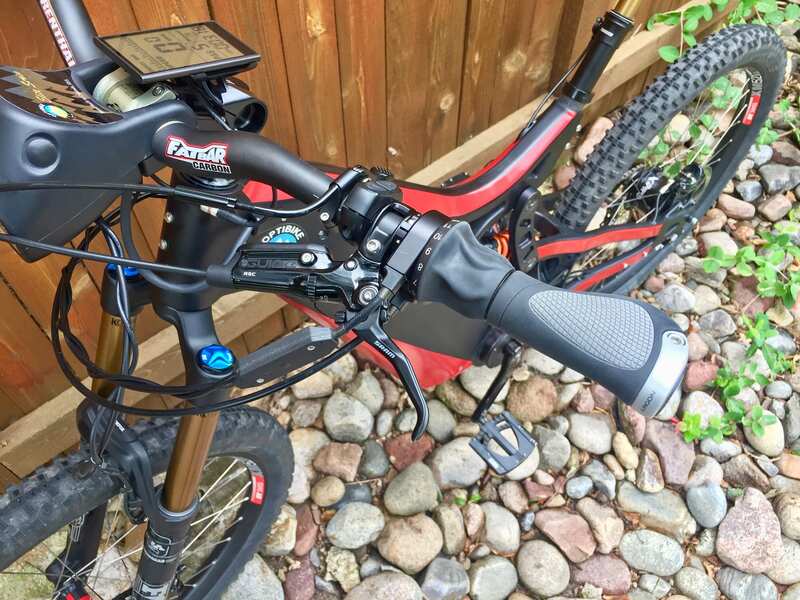 Again, standard ebike chargers are usually rated at 2 amps, with some at 4 amps. I’ve been told that faster charging can sometimes degrade cells, but we see it on the Tesla Superchargers? Jim has extensive experience with batteries and custom controller software, so I’m sure they are optimizing here for speed as well as reliability. 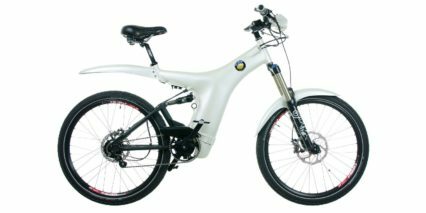 For those who want to go even further, Optibike is working on a “double battery” which offers 3,064 watt hours and fits into roughly the same frame space. Jim did not have one to show, but he talked about how it is only slightly wider than the pack shown in the photos and video here. That’s neat, really neat! I’m guessing that the 3kwh pack would be even heavier than the already sizable 14.6lb default pack. That’s a lot of weight right there, but it can be removed for easier lifting and transport. It’s also going to be more convenient to charge and store in optimal temperatures for those with limited indoor space. 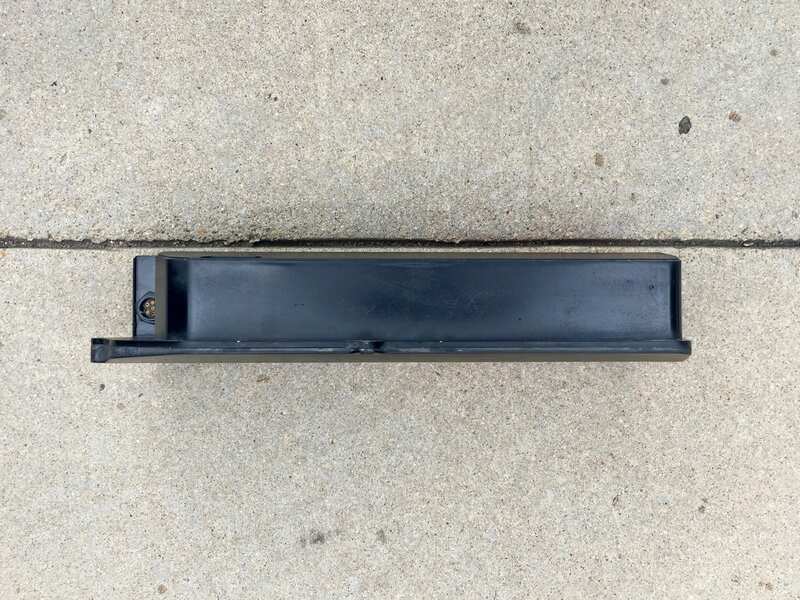 The three things this battery does not offer are an integrated handle for safer carrying, a charge level indicator, and a locking cylinder. You literally screw the battery onto the bike frame with 6M hex bolts. The result is a pack that fits snugly and securely… but is not as secure against theft. 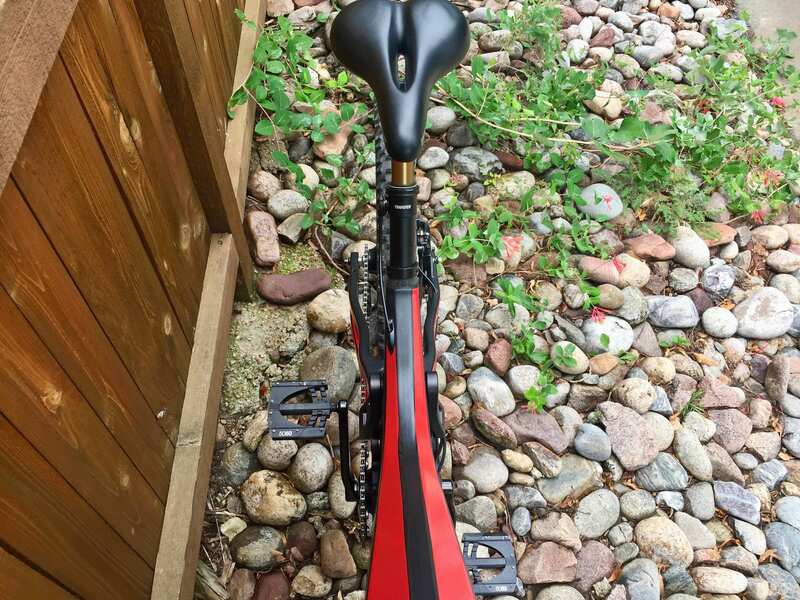 There are always trade-offs to consider when optimizing for weight, and I understand that most uses of this product will not involve bike racks. 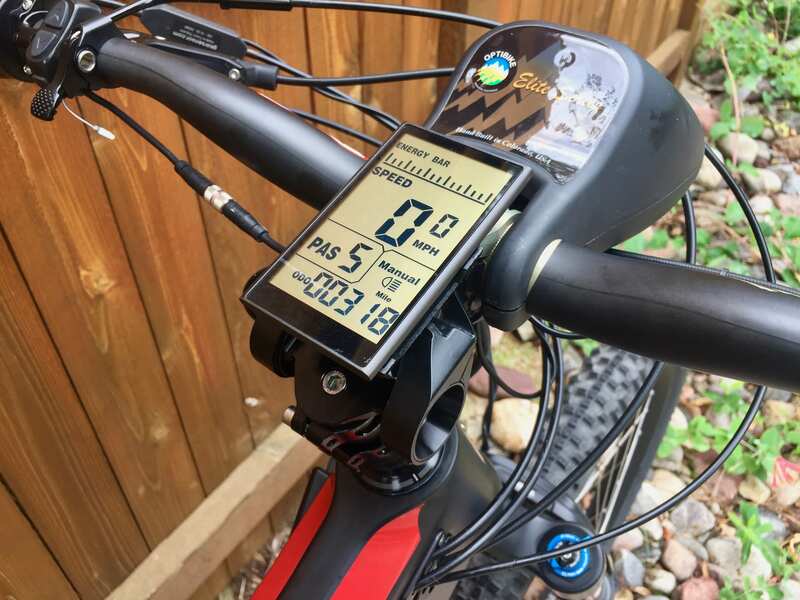 Speaking of battery capacity and readouts, the display panel on this ebike offers a very standard 5-bar infographic with 20% steps. It’s not nearly as fine and precise as I’d prefer. 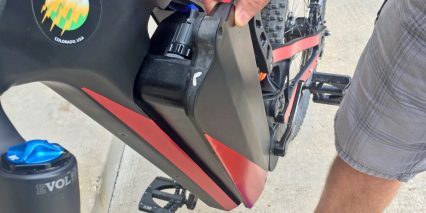 On the one hand, you’ve got this big battery that can go further, but the bike is also heavier than average and somewhat cumbersome to pedal if you rand out of juice. Being able to know the difference between one bar meaning 20% or 5% could change how you ride the last leg of your trip. 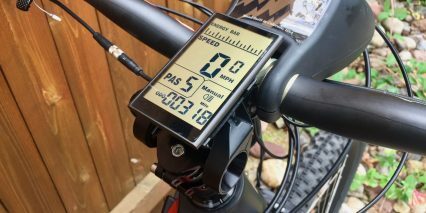 Some ebike displays now show range estimate, which is very cool, but that is difficult to do when the product only offers throttle-on-demand. 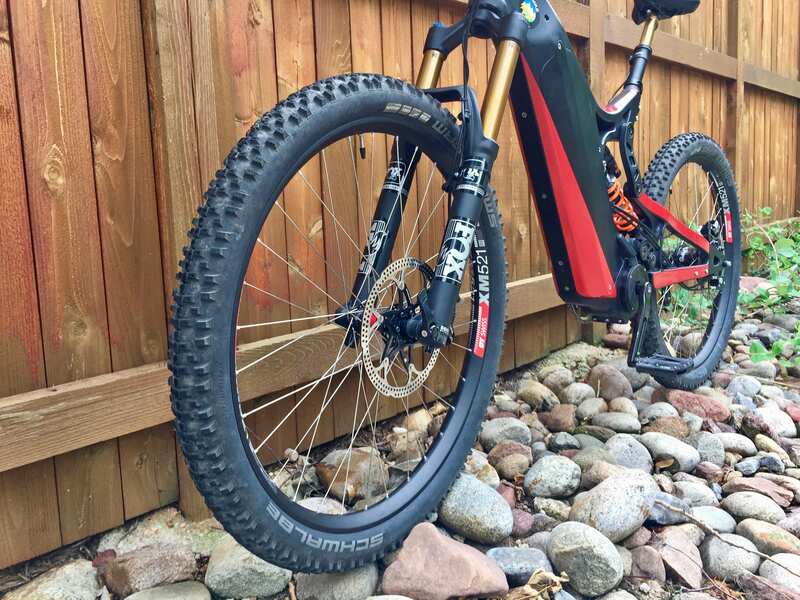 There’s a big difference between the lowest level of power and the highest with this bike, and I’m guessing that you can chew through the high-capacity battery very quickly in uphill off-road environments. I’ve been told that anytime you ride a bike over ~20mph the efficiency loss due to air resistance is exponential. Well, this product goes at least 28mph and up to 35mph, so that means you draw a lot. In many ways, the LCD display unit here is great. The screen size is large and easy to read, it has lots of menus for speed, average speed, top speed, and trip and odometer readouts. 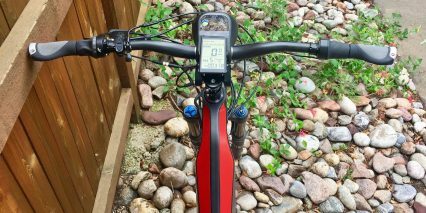 You can swivel the screen to reduce glare, and the positioning (at the center of the handlebar) is good for protection if the bike tips. You cannot easily remove the display and there is no USB port built into the system. This is one area I would love to see improved with future displays, because it might be nice to charge a smartphone for GPS or add additional lights. 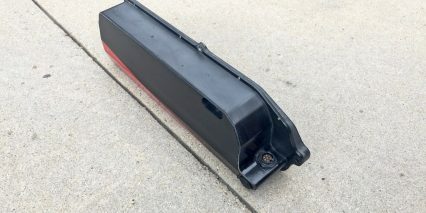 Older Optibike models used a very similar headlight enclosure that had switches on it vs. a rubber button pad and LCD. Those switches and LED readouts weren’t as reachable or readable if the headlight was aimed down. I feel like the inclusion of two bright headlights that also run off of the battery, along with the efficient grayscale LCD unit (which is backlit) are spot on in so many ways. There was a bit of confusion for me, seeing PAS on the display and thinking that the bike had pedal assist, but really it’s just power levels for the throttle. In level zero, the throttle is inactive, and this is fine for riding down hills but still using the display and headlight. 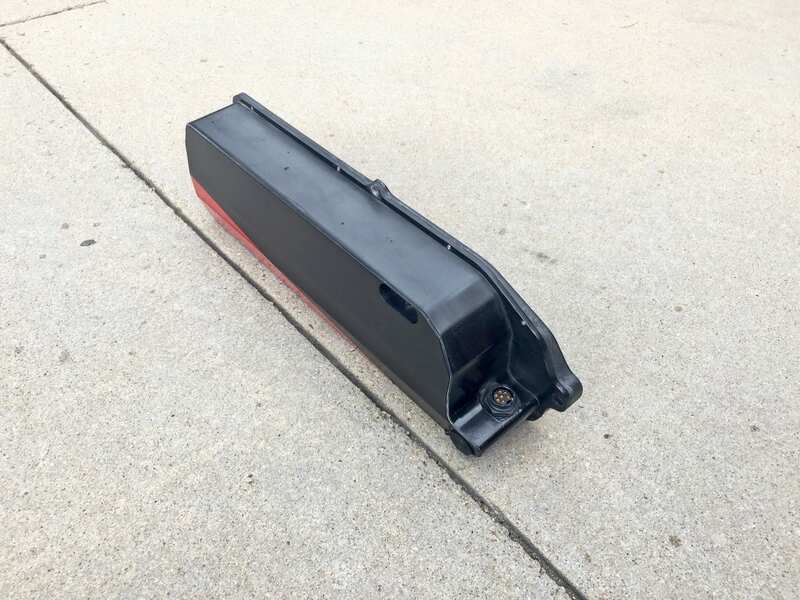 Jim explained that the company would be selling an urban fender and off-road fender accessory, and it made me wonder if it might have an integrated backlight? For most situations, a rechargeable clip-on backpack light would do the trick. It’s a small compromise, much like the lack of bottle cage bosses, that can be solved through accessories and maybe end up better. To be clear, the bike I tested had a Rohloff half-grip twist shifter on the left, the button pad (with up, down, and m button) also on the left, and the half-grip twist throttle on the right. It felt like a scooter or motorcycle and seemed tougher than trigger shifters or trigger throttles. I like that they were able to route many of the cables internally through the frame, and appreciate how adjustable the two-finger brake levers are. You’ve got reach adjust as well as cam adjust for how quickly power is applied. 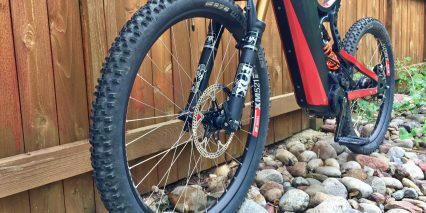 Given the power, speed potential, and weight of this product, it really felt like the 203mm disc brakes with quad piston calipers were warranted… and they did a great job. The larger diameter provides a mechanical advantage as well as cooling support. This is just one more example of premium hardware that is specced correctly but adds to the higher price point. This is a longer review, both the video and writeup, but there’s just so much to say. Jim and his team at Optibike have developed a superebike (like a supercar) that is beautiful and capable. While it only comes in one true color, a sort of matte or satin black, they can provide custom decals which offer style and protection. It’s another nod to the motocross industry, where Jim got started. The stickers are extra thick and look pretty good (you can see the red accents on the review bike). Black is a nice base color because many rubber materials are actually stronger in black and they show less wear. Most of the cables, motor casing, tires etc. are black by default… so this thing could really be blacked out if you wanted. 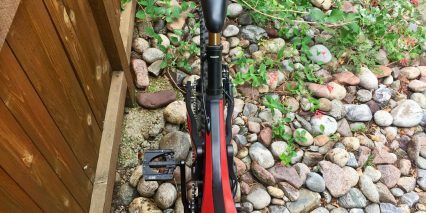 It’s not super relevant, since they spec each bike to order, but I liked the 5050 pedal choice from Crankbrothers and am excited that they have kickstand options. 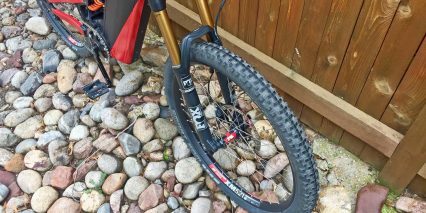 The lower 28.5″ standover is really key for people who will be riding on uneven terrain. 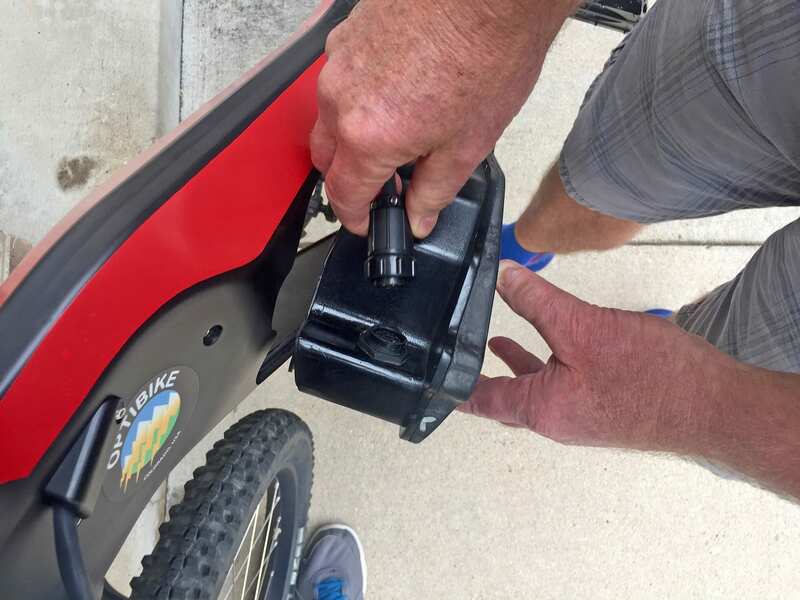 Frankly, the 66.5lb curb weight of this ebike (with the stock 1.5kwh battery) is light by my standards, for such a powerful system with long travel full suspension. I’ve seen many other products in this range that are not nearly as performant. The R15C definitely pushes the envelope for what is possible in the ebike space, and I’m excited to see the technology shared with slower more ebike specced Optibikes in the coming years. 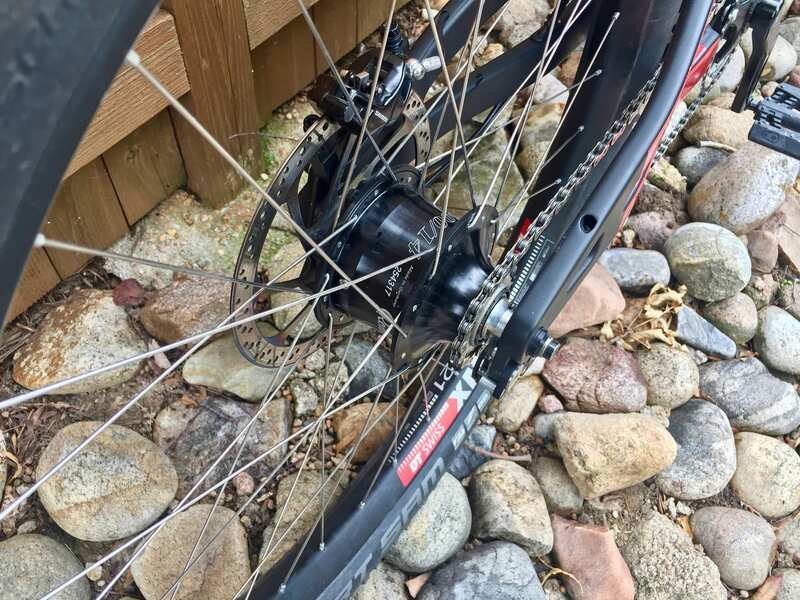 This thing feels stable but nimble at high speeds, it climbs very well if you shift into the appropriate range of gears, the drivetrain is sturdy and frame flex is not an issue… it feels safe and stable with the wider hubs, thru-axles, bigger tires, and smooth throttle. 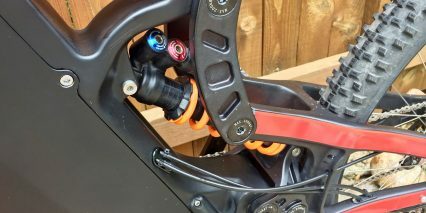 The suspension design is built around a virtual pivot point with a rigid triangle for strength and the spring shock is reliable under stress and long periods of riding. In some ways, it’s interesting that pedaling is required to go above the 28mph top speed, but this encourages engagement and fitness in a unique way. It helps encourage gear shifting, which is necessary for the the top speed, but I don’t get the impression that you’d be “beating eggs” and having to spin super fast. 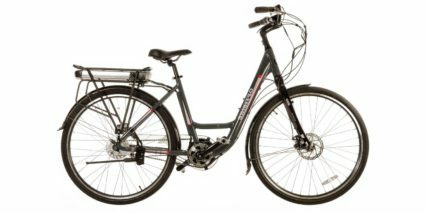 The motor seems to support 120+ RPM, but the Rohloff really empowers you with its wide range of pedal options. Optibike used to have a shop in Boulder but has moved 50 miles Southwest of Aspen in a city called Paonia Colorado. I’ve met Jim and his sons on multiple occasions and enjoyed their down to Earth mindset, technical expertise, and willingness to understand customer needs. You can see some of their other products at a shop called Best Electric Bikes in Denver Colorado. Look for the new R8HD model built around the same frame and lower-specced R8 in the Class 1 configuration without Rohloff. I do wonder how this will work out and if Optibike will have shift detection in place? It sounds like they might use a weaker motor, like the ones on their Pioneer series, for this product. So, it might not stress the drivetrain as much. As always, I welcome comments and corrections below and invite you to engage and share your own experiences, photos, and media in the Optibike forum. For that price there is no excuse for not having a PAS. There is also no excuse for not having a torque sensor and not having a motor cut off when shifting. They should study closely how Bosch designs the controller in the PAS mode. The Bosch PAS is like a torque mode setting (like the Phaserunner controller of Justin Lemire). Where power goes up linearly as you increase your cadence. However, there is also a second layer of power coming from the torque sensor (often helpful at lower cadence when starting up). Justin’s controller has also eliminated the “clumsy” dead zone when transitioning from PAS to throttle override mode. No excuse for a dead zone on this ebike either. Another company that uses carbon frame (Mubea) uses an integrated transmission at the bottom bracket that has a PAS mode and it also has motor cut off when shifting that sound like a formula 1. Here’s a video of it and they have an official website here. Mark, what is the retail price for the Mubea? Court, I have been anticipating this review for a few weeks now. As always, you gave a great and complete review. 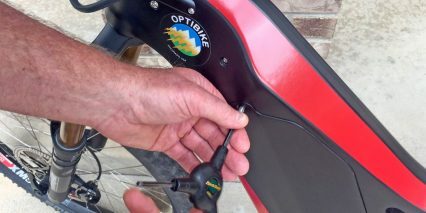 I have followed Optibike from the beginning and owned a couple (none now) and seen the progress and amazing performance. Their new carbon frame design (with removable battery) is a much welcomed upgrade from their iconic Y aluminum frame. I would like to add a couple comments to common critiques. 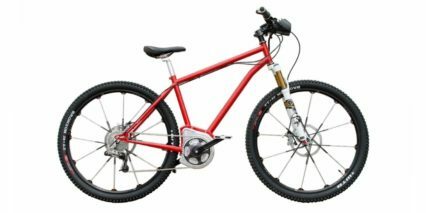 COST: I did a filter search of mtn/downhill bikes above $6k. There are many high performance bikes in the $6-7.5k range with high quality components. 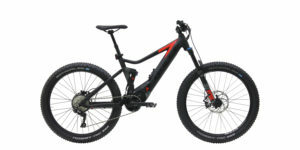 Even unpowered mtn bikes can easily be $5-6k retail price. Can that justify $14k? 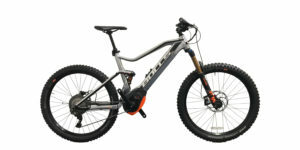 maybe not, but compare this: Given the upgraded hydraulic brakes and fox shocks, start at $8k for the Optibike. The battery is 3x the capacity of others, so add $2k for retail price. 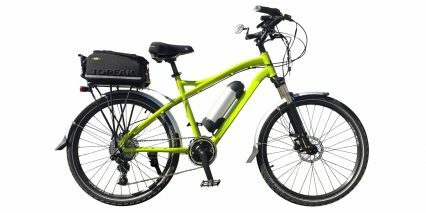 Given the Rohloff, add $1k. 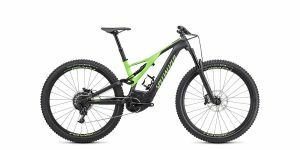 Given the new carbon frame and components, add $1k. Now we are at $12k. So I contend the bike is worth $12 for full retail. No PAS: It’s the MBB design that spins at 2400 rpm range and operates in a more narrow RPM band that must be making PAS difficult. The Bosch type motors operate at lower rpms. Operating with throttle isn’t the end of the world. I would love to see a review of a good single track rider compare the R15C to a high end Haibike, or Specialized and get their honest feedback on performance for throttle vs PAS and quality. I would guess the PAS is better for slower speed technical riding, while the throttled R15C would excel at a faster off-road trail experience. I think the PAS is a challenge to the Opti design or it would have been there by now. 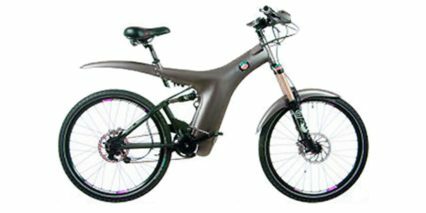 Weight: At 65-66 lbs and 1500Whr of battery, I see the design right at the optimum cusp for max power/weight ratio for a powerful yet ridable bicycle. A smaller battery design could decrease into the low 50’s. 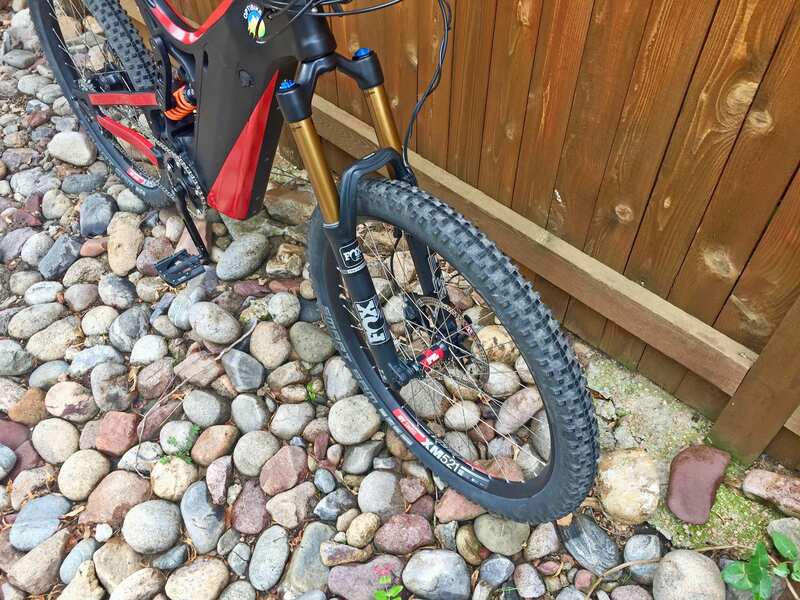 Also, the fatter tires have bumped up weight compared to previous mid drive bikes with 2″ tires. 1500watts and 1500whrs: Insane! It boggles my mind, and not packaged with any issues. Classification: If you and others are going to call this a moped, then why did Opti decrease the max speed to 28mph? It was at 33-34. I know the market needs some kind of classification. This is where I support class 3 to include PAS, throttle or both. It’s 28mph limited. 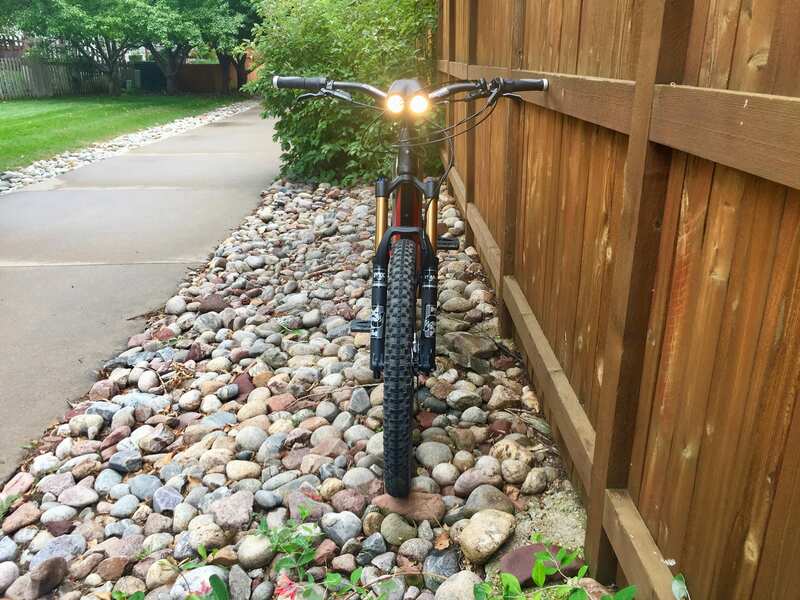 I also would like to see ebikes with programmable class modes and LED indicators to display the mode via color code. ex. class 1 – green, class 2 – blue, class 3 orange, class 4/moped – red. 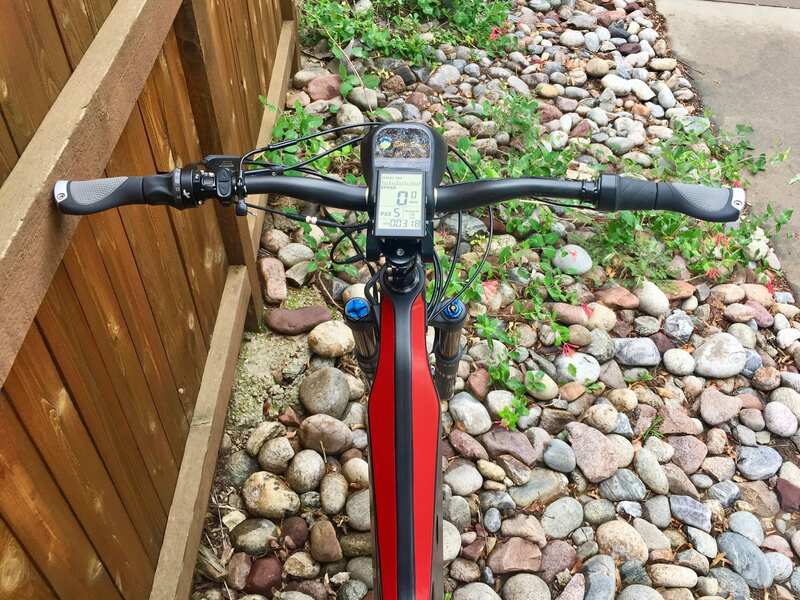 If the operator could hit a button and change modes with indicator feedback, then one could ride legal on bike paths to get tot trails and then go high power or maintain per regulations. 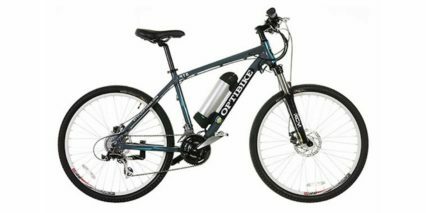 Lights, fenders, kickstands, water bottle – Opti does or will support 3 of 4. 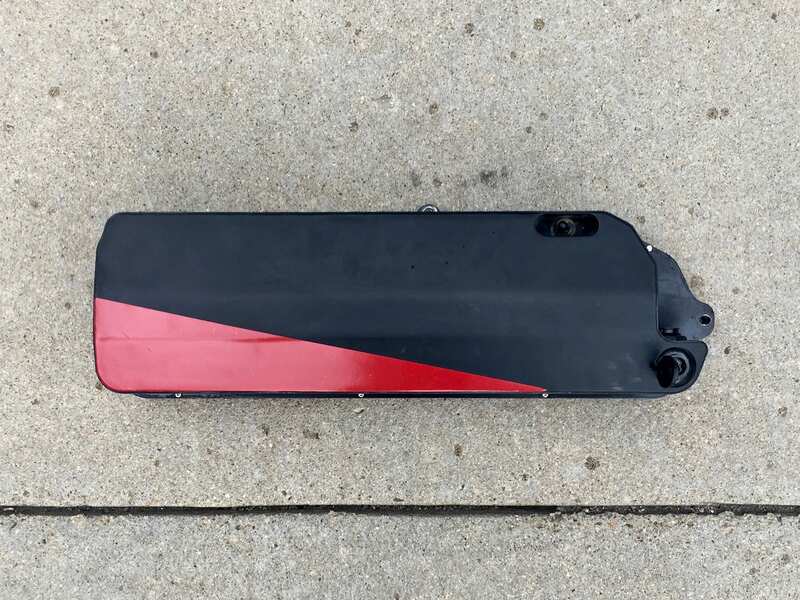 For roadway riding, I strongly support a rear RED LED taillight powered by main battery, under the seat somewhere. Thanks again for the full review. Motor speed of 2400 rpm range is what typical mid drive motors operate and these are geared down (from 30:1 to 20:1 depending on the brand). I just wonder what gear reduction ration are they using currently. Mark, the Optibike MBB uses planetary gears to step down the RPMs. Just guessing, but 2400/80 ~ 30:1 ?? For Bosch, Yamaha, Shimano and Brose, do you know for sure they operate at that higher RPM of 2400? I expect they are less because they have a lower power output than the MBB. 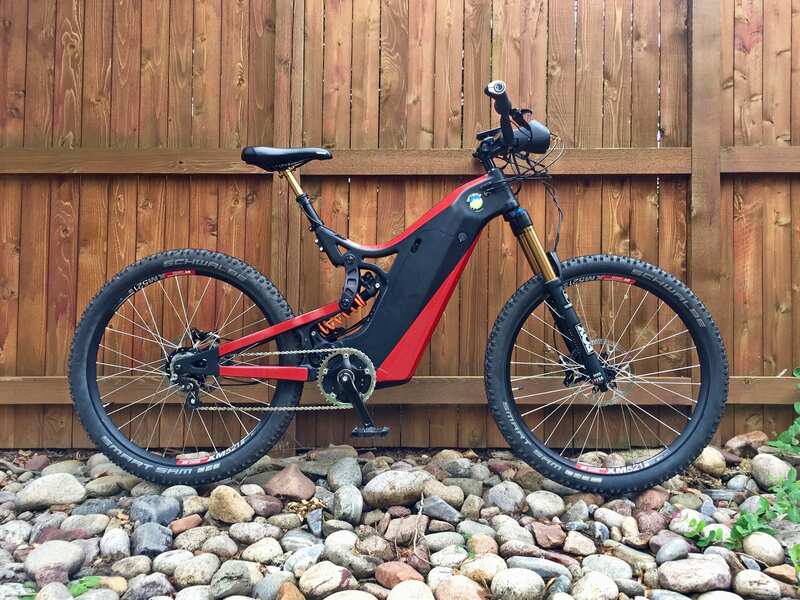 While I appreciate the highlighted warning that “…this electric bike is classified as a moped or motorcycle and may not be ridden on cycling trails or paths,” these are the kind of eMotos that have MTB groups up in arms, railing against ANY & ALL ebikes bicycles their trails. Guising themselves as mountain bikes, these full-on motorcycles will damage singletrack trails far more than any pedal assist bicycle could, and you know some kid’s gonna ride them there, laws and common sense be damned. They might even take an MTBer out with them when they crash. 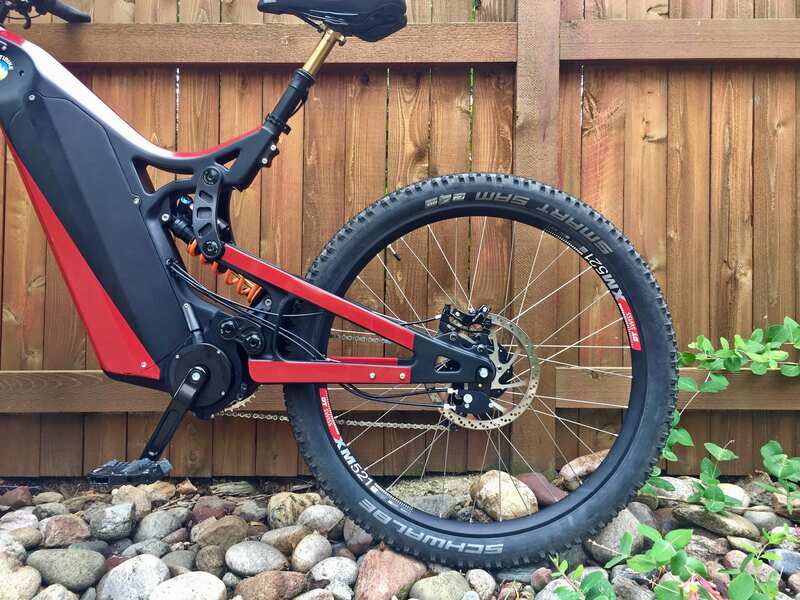 When I read postings and articles opposing eMTB access to “non-motorized” trails, the most legit argument presented IMO is that it’s very difficult to tell at a glance a 250W pedelec from a 2500W beast like this. Therefore, they argue, it’s best for land managers to simply ban electric bikes altogether. 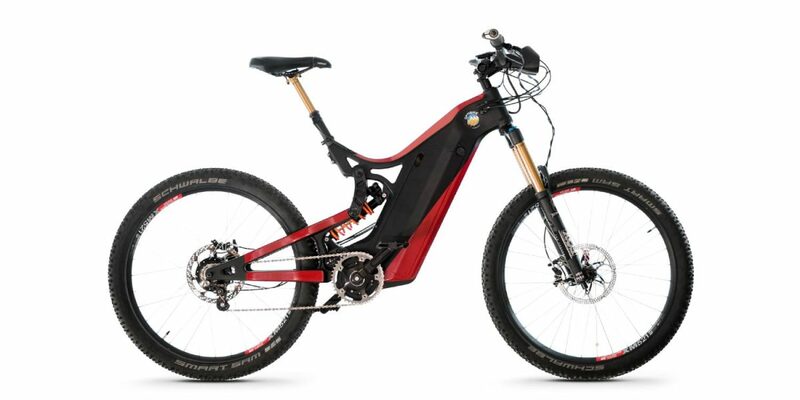 A big part of me wishes EBR would only review ebikes that fall within the three-class category system, and let moto-oriented websites cover Optibikes, Stealths, Lunas, and HPCs. I hear ya JimBo, my goal with the extra warnings here (including the class categorization) and the time spent explaining and warning in the videos is to help guide people… and to explain that in cases like this, Optibike will be producing several down specced versions with lower top speeds and power to comply with Class 1, 2, or 3 laws. All of the latest ebikes I see have big stickers to communicate what class they are, to help with enforcement. I’ll continue being sensitive on these topics and agree that we don’t want to see all ebikes banned because of some misbehavior by a few. 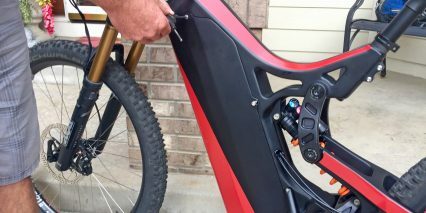 Stealth and Opti are still electric BIKES that can be pedaled. Motorcycles do not and weigh 2-4x more. You speculate out of fear, not solidarity. No intelligent adult who pays big buck is for Opti/stealth is going to let their 16 year old ride it. Expect adults to be responsible. 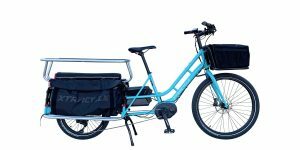 We are in transition to accept ebikes. 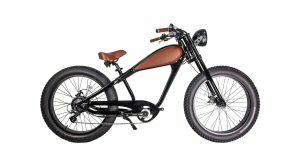 Traditionalist/purist just hate ebikes (any kind) and need to be schooled. Once accepted, class 1 trails will be respected. The R15C is rated at 1650W ave, not 2500W. Anyone who commutes every day of 10+ miles one way will want more power and more speed, while still getting exercise. With 1000-1500W, you can do it everyday. On a 350W pedelec, you have to be young and motivated. Any Class of bikes can be pedaled very safely on bike paths. Expect adults to be responsible and life will balance it out. Stealth and Opti were pioneers that set a standard for many companies to build cheaper and quality. Give them a break. Ha! Good point, Alex. In the meantime, I’ve got the advanced search price slider thing. 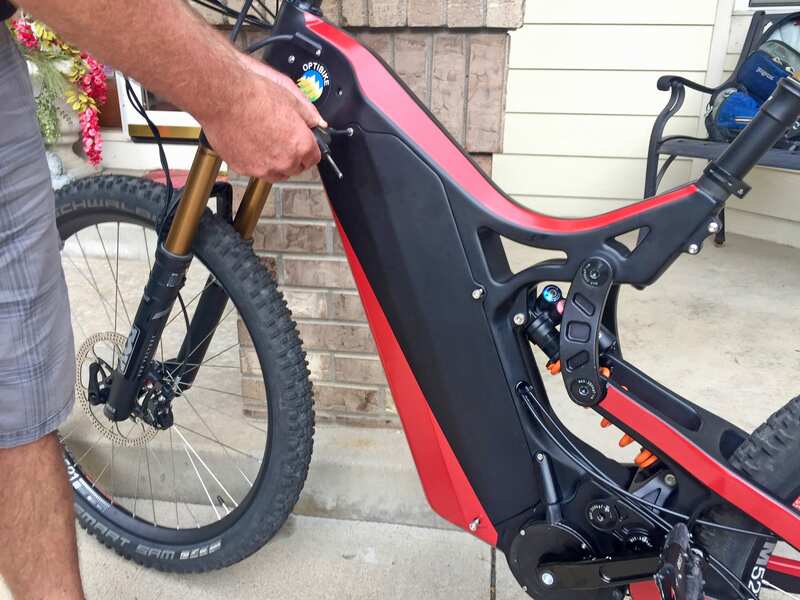 This was a neat ebike to review, glad Jim was able to meet me and spend the time. I just found out that there is also another US maker (parts sourced from China) who sells carbon frame full suspension mountain bike that also has 1500 wh battery. Interestingly, it has PAS, it has shifter sensor, it has torque sensor, and it has a throttle. For $7,789.95, it also comes with Rohloff 14-speed internal gear speed hub and you can check it out here if you’re interested. Mark, the Apex is definitely a ROAD only bike due to the design of the rear suspension, pivoting at a single frame axis. The Optibike R15C design will be 10X stiffer and can handle off road and on road. Luna has come a long way and their color display and PAS interface with the Bafang mid drive is pretty cool. I would question the long term reliability of the Bafang high power system, 1500/2500 watt and their internal gearing under such torque and power. Has it been proven? It is easy to be an Opti-hater based upon price alone and bias against throttle only. Both have their strengths and drawbacks. 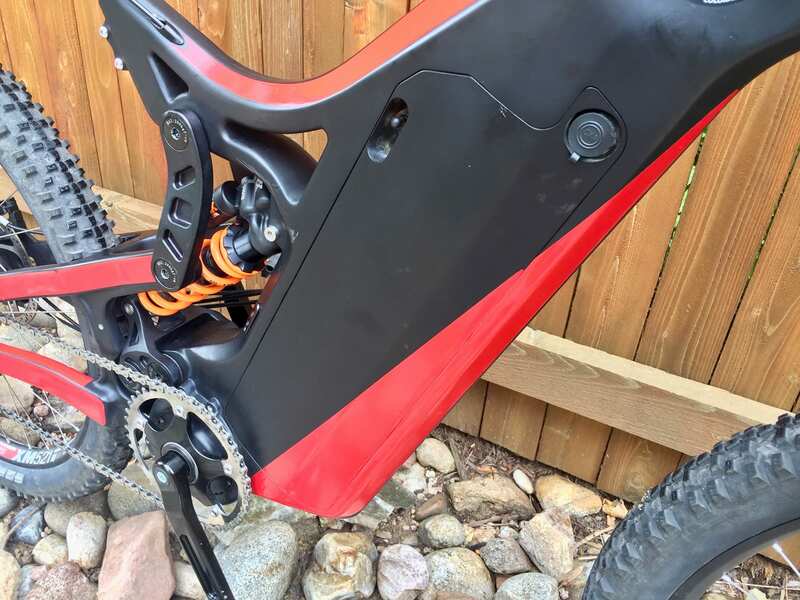 Check out the incredible design effort going into the Specialized Levo design. Good bikes just don’t happen without real effort. 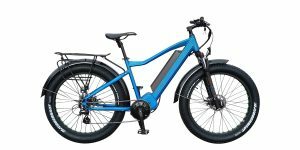 I also wanted to say I think it is a great looking, power e-bike. I like the carbon lines, bigger tires, quality finish. As you mentioned, it will be interesting to see the lower powered/less capacity option and price points. Will the frame stay the same and just less cells/weight? OR will there be a thinner mid section with a thinner battery? I think I heard Jim say the common frame is the plan. Hi Dan, yeah… I heard the same thing from Jim. 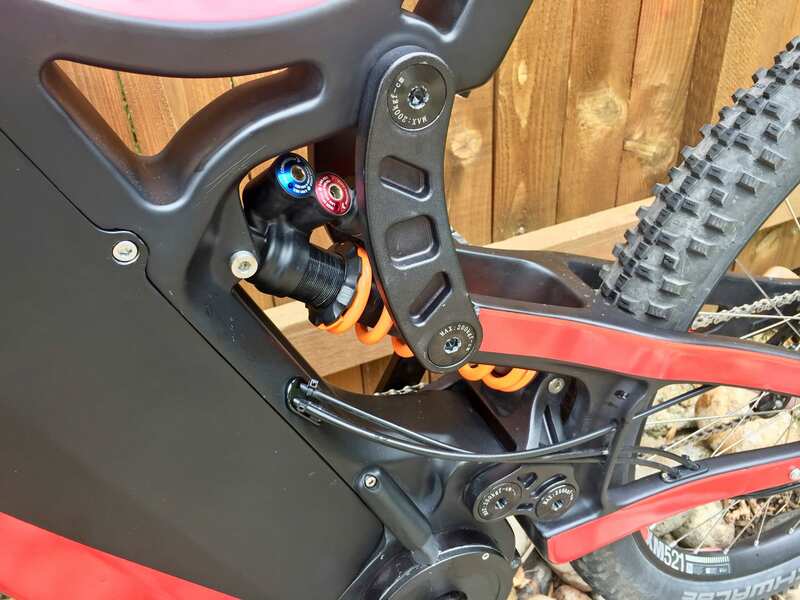 Sounds like motor power and hardware accessores (suspension, drivetrain) will be the biggest differences… The most affordable one would use the motor from the Optibike Pioneer series. Let me just say up front I have always liked the Optibike. Having said that I find it very very hard to justify, given the price. You can go out an get a very nice Zero Motorcycle for around the same money. You can also get a nice Evelo bike for around $3K. Zero Motorcycle & EVELO Bikes for reference. If there is no PAS how do you get any exercise? You must modulate the throttle while pedaling to actually feel like you are adding to the ride. That is difficult to do because the motor is so powerful – you end up simply going through the motions of pedaling. A 350W pedelec is plenty of power for a 10 mile commute regardless of age or motivation. People keep calling this a motorcycle… it is not. Motor cycles go 70 mph, have 14-16in wheel, weigh 200lbs, be serious. It is fair to call this a Moped, but don’t sell the pedal part short. It is geared and balanced and minimized weight to feel like a bike. 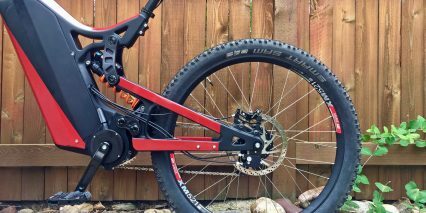 The Haibikes and Specialized Levos are upping their torque for off road performance, and they are all about handling and performance as well. I do agree that 68lbs is the upper limit for a “bicycle” experience. It’s not a 15lbs fly bike. 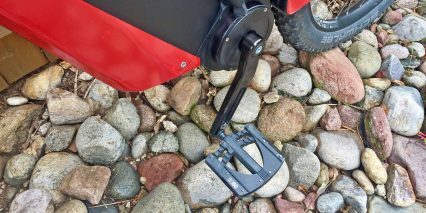 Using the electric assist appropriately, the weight is offset seemlessly to keep the mtn bike experience. I can’t wait to test ride one of these machines of excellence.